Brazil is big and next to São Paulo and Rio de Janeiro there are plenty of other fast developing cities that have become important business hubs over the years and will be even more important in the future. They were pointed out by generating strong growth in private sectors such as agribusiness, oil & gas, industries, IT and ports & logistics. Readers of Brazil Weekly have been asked to give their opinion about the order of importance of these next big business cities in a poll that ran throughout the past year. The city has a privatized international airport and excellent highways running in all directions of São Paulo state. It gives access to a huge agribusiness region, it is home to many IT businesses and other national and international enterprises, as well as a range of universities and institutes. The Campinas education level is high. The region is home to many research centers and universities, such as LNLS, CPqD, CenPRA, Embrapa, Unicamp, Facamp and Puccamp. Campinas’ main economic activities are agriculture (mainly coffee, sugarcane, and cotton), industry (textiles, motorcycles, cars, machinery, agricultural equipment, food and beverages, chemical and petrochemical, pharmaceuticals, paper and cellulose, telecommunications, computers and electronics, etc. ), commerce and services. Campinas also boasts the largest number of high-tech business incubators and industrial parks. Called the Brazilian Silicon Valley. This developing city is a hub of Brazil’s mid-tech and engineering industry as well as IT. Joinville is close to São Francisco do Sul port and Paraná’s state capital and business hub Curitiba and has one of the highest standards of living in Brazil. Owing to its development and good infrastructure, Joinville has also become a major center for events and business conferences. The city is central to some of Brazil’s largest software companies. The Minas Triangle is one of the richest agricultural regions of Brazil, situated between the Paranaíba and Grande rivers. The city has some of the best infrastructure for logistics in the country: highways to all directions, railways and an airport. Although the city’s main focus is in the logistics and services sector, an important segment of the local economy is dedicated to manufacturing. Mainly situated in the city’s northern industrial park, some of the country’s major companies as well as international enterprises are operating in Uberlandia. The town has many colleges and faculties. Besides sugar and alcohol, Ribeirão Preto’s major products are orange juice, cotton, rice, meat, dairy products, textiles, machinery, steel, furniture, building materials, agrochemicals, pharmaceuticals and, of course, beer. The city hosts yearly the “Agrishow”, one of the most important agricultural trade shows in Brazil. Ribeirao Preto has a domestic airport and is well connected by highways and railroads. Agriculture continues to be Londrina’s major economic activity, although its importance has diminished in recent years. Agricultural activity has been diversified beyond coffee and today corn, wheat, cotton, horticulture, beans, peanuts, rice, sugar cane, soy bean, and fruit plantations thrive due to the rich “terra roxa” earth, found in Northern Paraná/South Western São Paulo State. The city has several universities and a domestic airport. Londrina is also well equipped with hotels and restaurants to receive business visitors. A 100 km drive away on a good highway to the west of Londrina lies another large agribusiness centre: Maringá, population 370.000, with 630.000 in its metropolitan area. Maringá has metalworking industry, agribusiness and food companies. Big companies such as Cocamar, Coca-Cola, Noma have set up there. Londrina has a fantastic looking bus terminal (picture). The region is called Baixada Santista in Portuguese and hosts the largest port of Latin America, as well as a huge industrial complex and it is the beating heart of Brazil´s shipping industry. Santos and surroundings also boast excellent beaches and hotels, so tourism is a huge industry. The area is a one hour (depending on conditions) drive from Sao Paulo city. Santos port and private terminals handle a large portion of the world’s coffee exports, as well as a number of other vital Brazilian exports, including steel, oil, cars, oranges, bananas and cotton. In 2012 the port of Santos established a new record by trans shipping no less than 104.5 million tons of cargo, signalling a growth – in spite of the world crisis – of 7.6% from 2011. Exports contributed 72 million tons and imports rose to 34.6 million tons. In October 2006, light crude oil was discovered off the coast in the Santos basin which is adding a new industry to the region, oil exploration. Petrobras is investing heavily in the area. Two highways connect this city closely to Sao Paulo and to Guarulhos international airport and will bring you to the continent’s aeronautics hub, with the Embraer factory at its core. São José dos Campos has a central role as a research center in Brazil. The Brazilian National Institute for Space Research (INPE) has its headquarters there. It coordinates intensive research and development in areas such as earth observation, space sciences and space technologies. Also the Brazilian General Command for Aerospace Technology (CTA) has established its facilities here. The three main local industries are automotive, oil/petrochemical and aerospace. There are also important pharmaceutical, consumer durables, chemical, and telecommunication companies in the city as well as in other developing cities nearby. 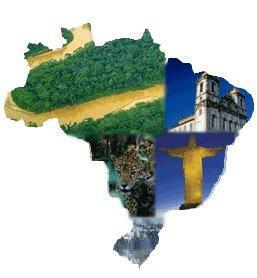 Campos in the Nothern Rio state is already a hub for tourism and the oil industry. And with a good airport, universities and half a million inhabitants it has the basics to be attractive as a business centre. Yet, the development of Suape, one of the largest ports and industrial complexes of Brazil, together with the strong presence of the tourism sector in the area, makes it one of the fastest growing economic zones of the country. Suape has one of the most important container terminals in northeast of Brazil and the port plays an important role in the economy of the state of Pernambuco. But liquids (petroleum by-products, chemical products, ethanol, vegetable oils, etc.) constitute more than 80% of the port’s movement. The growing combined population of the area will reach a critical mass soon and the international airport and wealth of its citizens make it well placed for becoming the continent’s Nice or Cannes.